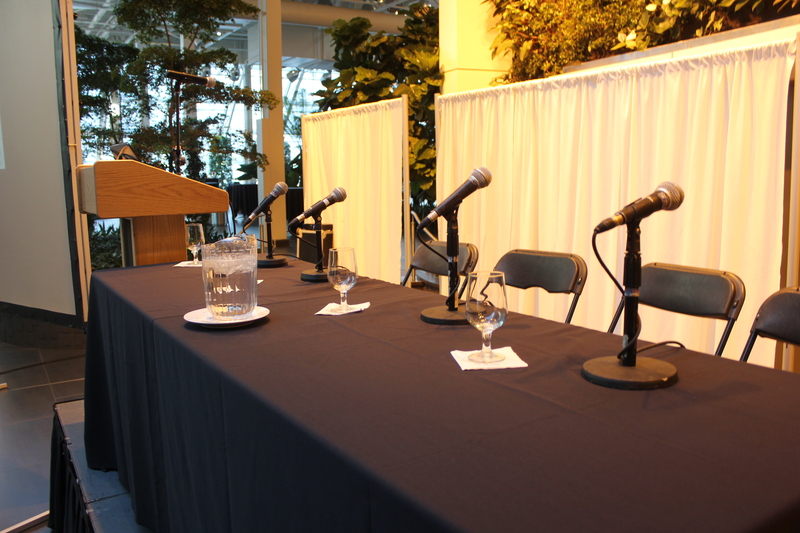 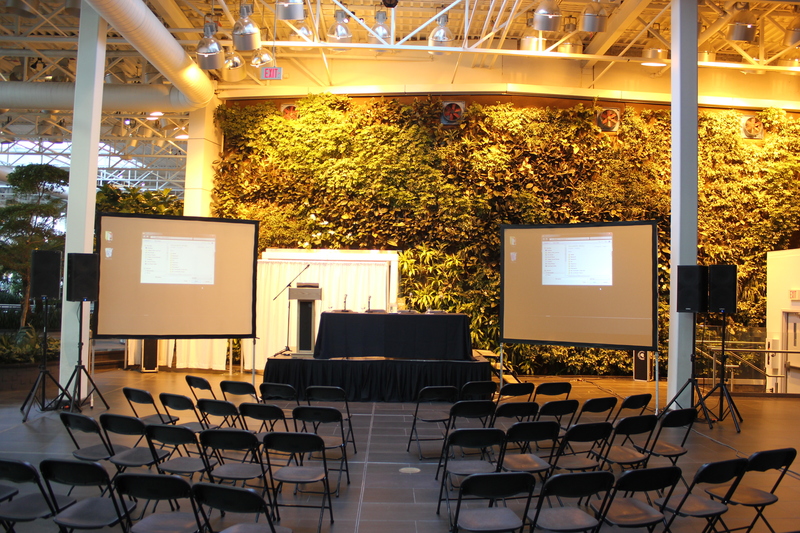 We were very pleased to help facilitate Jayman Modus’ event at the Devonian Gardens a few days ago. 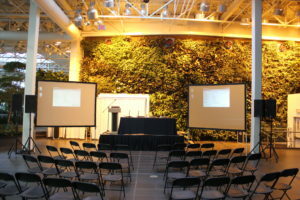 What a brilliant location for a presentation and how amazing the staff onsite were to us. 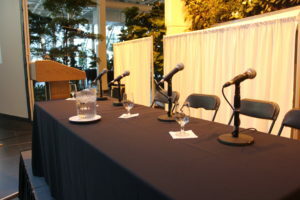 The evening consisted of four panelists a moderator and three presenters as well as a roaming wireless microphone. We duplicated the signal from the presenters laptop into two rear mounted projectors which produced their presentations onto two eight foot by six foot fast fold screens. 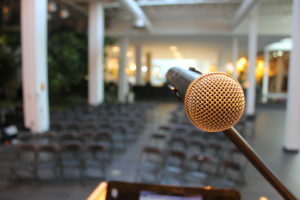 In regards to audio, we connected four QSC hpr 122i 2-way speakers and ran all of the microphones through our 16 channel Personus studiolive 16.4.2.